A direct flight from Chandigarh to Pune has been announced by Air Asia which is expected to commence from April 2015. This will be the first flight to connect Chandigarh with Pune. A special 180 seater plane has been finalized and all permissions have been sought by Air Asia to start the new Chandigarh-Pune flight. 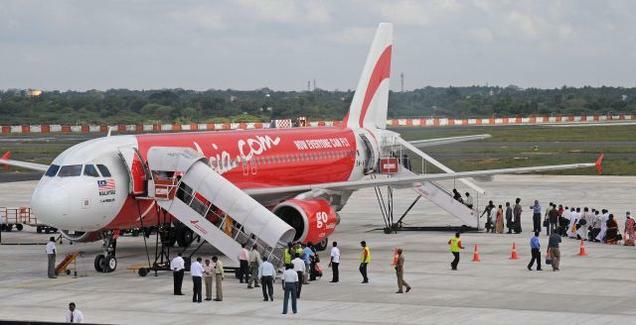 Confirming the announcement, J S Balhara who is the Director at Chandigarh airport said that the airport authorities had received all documents from Air Asia and the flight between Chandigarh and Pune will be started soon. Earlier Air Asia had started a direct flight from Chandigarh to Bangalore in September 2014 which has received a good response making good profits for the company. Being a low cost air carrier, Air Asia offers 30% low fares as compared to other planes. With this, it is very keen to tap the increasing number of air travel passengers in Chandigarh. Chandigarh airport has emerged as a major hub in North India and is getting ready to start international flights as well. Another direct flight to connect Chandigarh with Goa is also on the cards. This new flight between Chandigarh and Pune will boost tourism and help business. The timings and schedule of the flight will be announced in the first week of April.